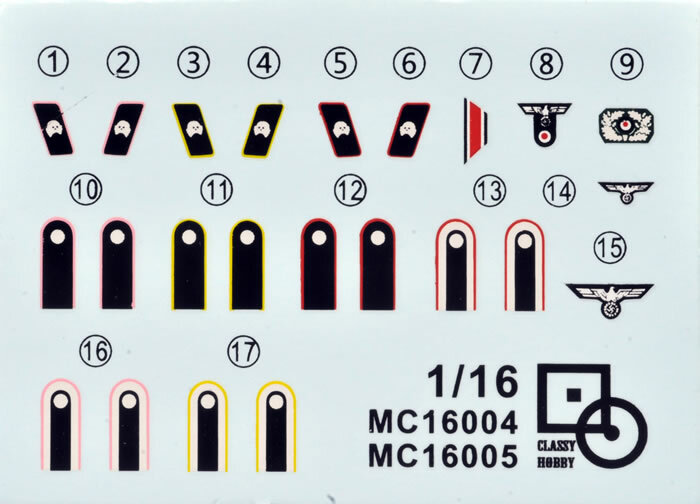 Grey plastic; waterslide decals for epaulets and markings etc. High quality sculpting; straightforward assembly; includes alternative parts for different vehicles; very good moulding; popular subjects. Recommended to anyone building 1/16 scale armour kits. 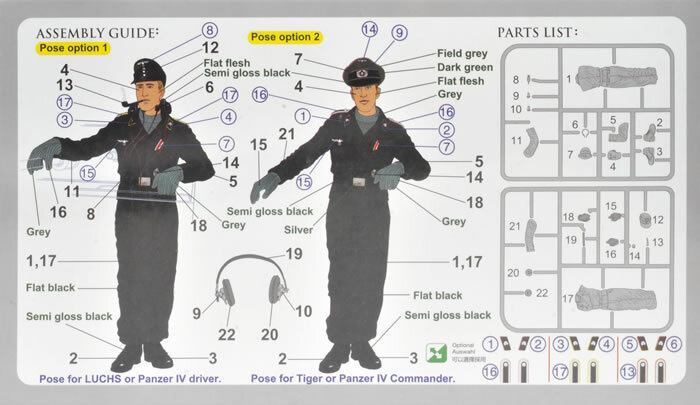 Classy Hobby has released two crew figures that will be suitable for their own Panzer II Ausf. 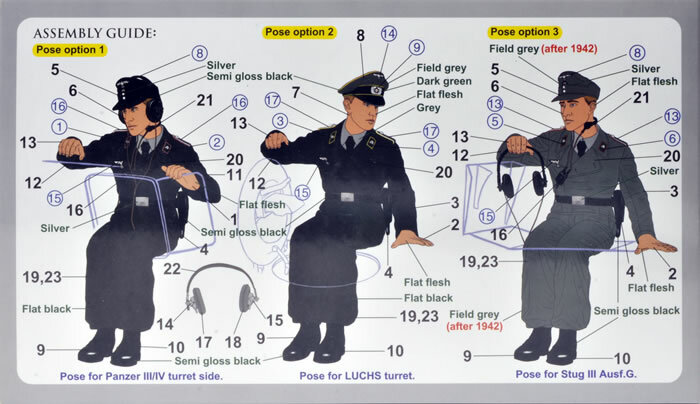 L Luchs kit, but will also apply to other popular large scale German vehicles. 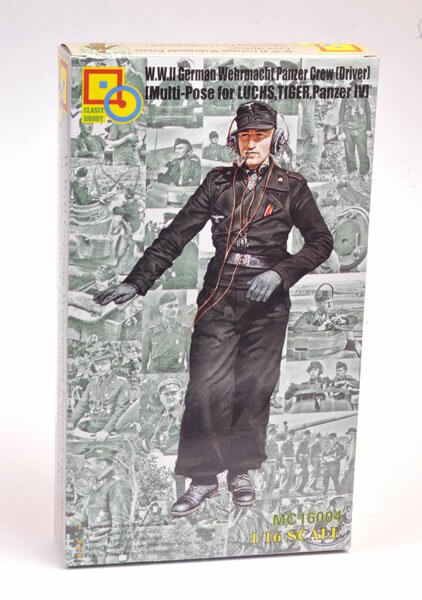 The first figure is leaning against a hatch and includes alternative parts to finish him as either a Driver for the Luchs or a Panzer IV; or a Commander for a Tiger or a Panzer IV. 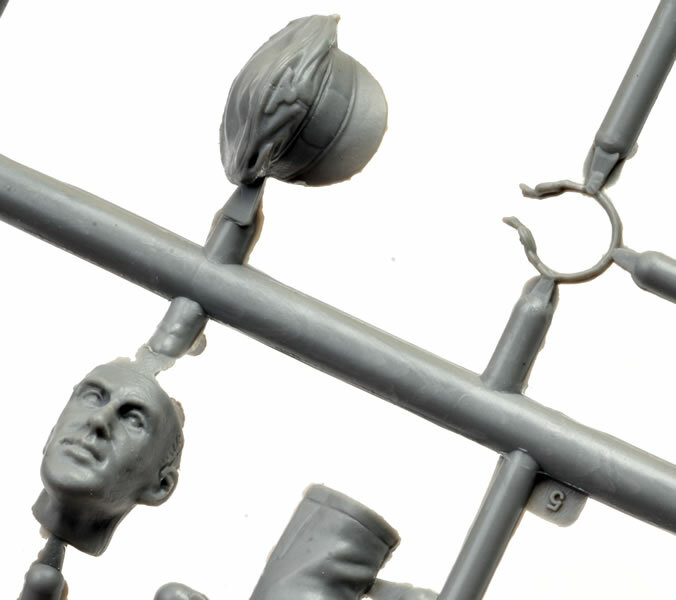 Alternative parts include the cap and right arm. The second figure is seated, either in the turret side for a Panzer III/IV, the top of the turret for the Luchs or the Gunner’s hatch for a StuG. III Ausf. G. Alternative parts here are the left arm, heads and caps. 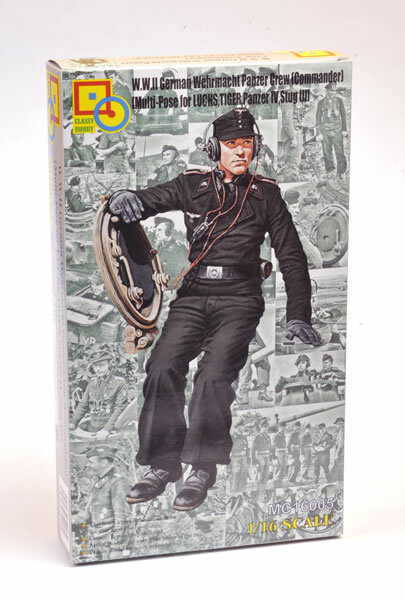 Both figures include decals for Wehrmacht epaulets, collar badges and cap badges. Colour options are offered for Panzer Corps (pink), Armoured Reconnaissance (yellow) and Assault Artillery (red). The figures look good and, being plastic, will be simple to assemble and clean-up. Detail is good with crisp moulding and impressive fabric drape. 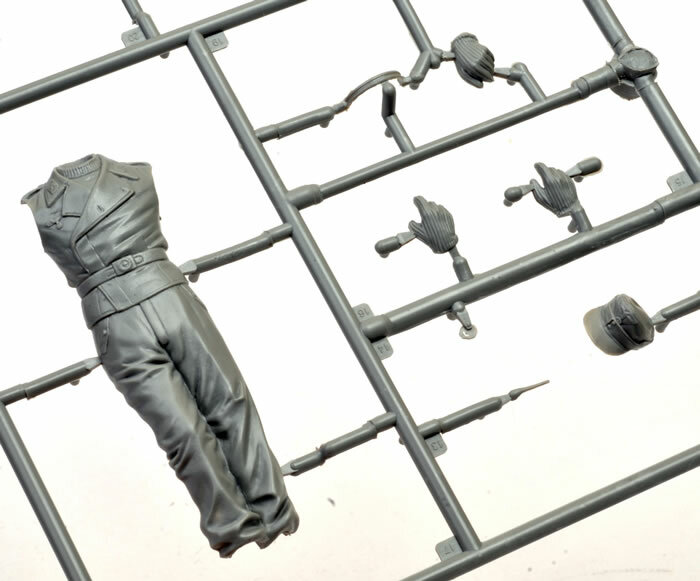 Both of these figures will lend a sense of scale and action to your large-scale modelling projects.